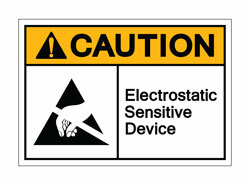 What is electrostatic discharge and how can it be prevented? At one point or another we have all been exposed to some form of an electrostatic discharge (ESD) event, even something as simple as walking across a carpeted space, touching a door knob, and receiving an unexpected jolt. These types of events are very common in instrumentation applications. Today we will discuss what ESD is, the effects it has on instrumentation, and the steps that Dwyer Instruments has taken to prevent damage to sensors susceptible to these events. Electrostatic discharge (ESD) occurs when an object containing a positive charge comes in contact with an object containing a negative charge. ESD is defined as the sudden flow of electricity between two electrically charged objects, and it occurs when objects with opposite charge are brought within a close vicinity of one another. Sometimes this event is accompanied with a visible spark. There are many causes for ESD such as an electrical short, contact, or dielectric breakdown. This phenomenon can be harmful to a variety of different industries, resulting in explosions in hazardous areas, or failure of solid state electronic components located in integrated circuits. When these environments are exposed to high voltages, they can suffer permanent damage. Dwyer Instruments, Inc. has taken precautions as a manufacturer to prevent the buildup of static charge. These precautions include: avoiding materials that will hold a static charge, providing detailed instructions of proper grounding practices to workers interacting with the product by using anti-static devices, and monitoring the humidity levels in a workspace. 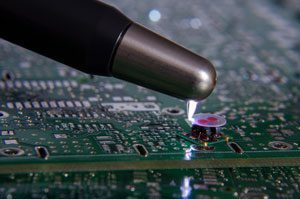 Two of the main ways to prevent ESD is to invest in high quality, non-conductive material and to ground out those materials to add resistance to ESD. Utilizing better components in our products also provides higher ESD prevention. This means that you will not only have a more durable, high quality product, but you will also be safer when using it. Proper grounding prevents the buildup of static electricity and yields a neutral charge. Unfortunately, some products are more susceptible to ESD events due to the nature of the application that they are used in. Duct mounted humidity transmitters are commonly mounted in moving airstreams, leading to a buildup of electrically charged ions down the plastic or stainless steel duct probe. These charged ions will move through the path of least resistance (which is typically a cap, filter, or other material around the humidity sensor to protect it from particulates, dust, and other types of foreign objects that may damage the sensor). The material chosen for this cap or filter, as well as spacing between the cap and humidity sensor, can greatly affect the humidity sensor’s resistance to ESD events. Dwyer duct mount humidity sensors are tested to meet current CE contact and air discharge events at a minimum, with many designs for greater resilience. By designing a device that minimizes the path of resistance away from the humidity sensor, improved longevity of the product can be achieved. Incorporating these designs into instrumentation like the Humidity/Temperature Transmitter, Series RHP, helps to minimize labor and installation time for wiring additional ground protection on the sensor and ultimately increases the usable lifespan of the sensors. For more information or to learn about the complete Dwyer humidity product portfolio, please visit our website. Previous PostPrevious One, Two, and Three-Piece Ball Valves: What’s the Difference Anyway?